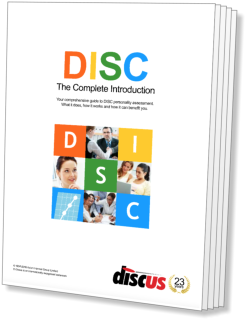 The first of the DISC 'axes' lies between the opposites of Assertiveness and Receptiveness. This section discusses these two important elements. While reading these discussions of Assertiveness and Receptiveness, bear in mind that we are discussing two opposite ends of an axis. Some people are more Assertive than others, for example, while others fall right in the middle of the axis (we might characterise such people as 'even-tempered'). The Assertiveness/Receptiveness axis measures the ways in which people react to their environment, and specifically whether they take a pro-active or reactive approach. Assertive people are pro-active and direct. They lead rather than follow, and like to take immediate action whenever they can. They believe in grasping opportunities and making their own way. Often independent and commanding, they prefer to give orders rather than take them, and will issue instructions rather than ask for cooperation. The opposite of Assertiveness, Receptiveness describes people who are patient and cautious. They prefer to avoid taking risks, and rarely take definitive action unless the pressure to do so is unavoidable. They dislike change or surprise, and will seek calm, predictable situations.